Redmi 7 has been launched in China as the successor to last year’s Redmi 6 smartphone. The new budget phone by Xiaomi sports a 19:9 display and runs Android 9 Pie with MIUI 10 on top. The Redmi 7 also comes with an octa-core Snapdragon 632 SoC, paired with up to 4GB of RAM. Xiaomi has offered a 4,000mAh battery on the Redmi 7. The inbuilt battery pack is touted to work alongside more than 30 software and hardware-level power saving optimisations and an artificial intelligence (AI) integration to deliver up to 400 hours of standby time on a single charge. 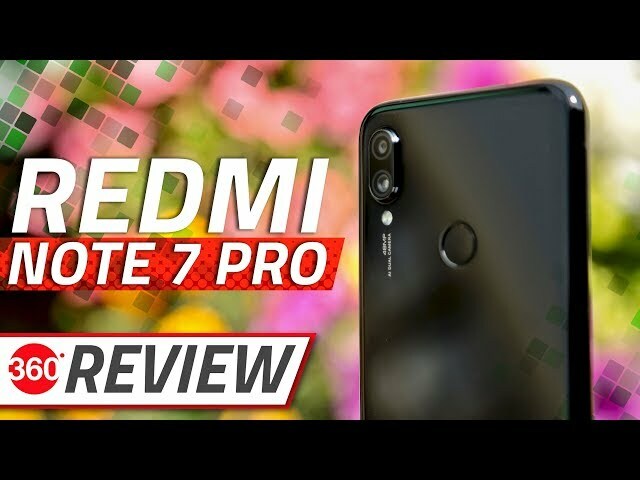 Alongside the Redmi 7, Xiaomi at its event announced the China variant of the Redmi Note 7 Pro. The new model that was unveiled in India late last month comes with a Snapdragon 675 SoC and a 48-megapixel Sony IMX586 primary sensor. The Redmi 7 price in China has been set at CNY 699 (roughly Rs. 7,100) for the 2GB RAM/ 16GB storage variant, while its 3GB RAM/ 32GB storage option comes at CNY 799 (roughly Rs. 8,200). There is also the 4GB RAM/ 64GB storage model of the Redmi 7 that is priced at CNY 999 (roughly Rs. 10,200). All three variants of the Redmi 7 will come in Dream Blue, Charm Night Red, and Bright Black colour options along with gradient and classic finishes. Notably, the phone will go on sale in China starting March 26, and its first sale round has been scheduled at 10am local time. Details about the India launch and availability of the Redmi 7 haven’t been revealed. As we mentioned, alongside the Redmi 7, Xiaomi has launched the Redmi Note 7 Pro in China that comes with a price tag of CNY 1,599 (roughly Rs. 16,300). The phone will be offered in the lone 6GB RAM/ 128GB storage configuration. This is unlike the India variant of the Redmi Note 7 Pro that debuted late last month with a price tag of Rs. 13,999 for the 4GB RAM/ 64GB storage variant, whereas its 6GB RAM/ 128GB storage model is priced at Rs. 16,999. The dual-SIM (Nano) Redmi 7 runs Android 9 Pie with MIUI 10 on top. The phone features a 6.26-inch HD+ (720×1520 pixels) display along with a 19:9 aspect ratio, Corning Gorilla Glass 5 protection, and an 84-percent NTSC colour gamut. Under the hood, there is an octa-core Qualcomm Snapdragon 632 SoC that is clocked at 1.8GHz, paired with 2GB, 3GB, and 4GB RAM options. For photos and videos, the Redmi 7 sports a dual rear camera setup that houses a 12-megapixel primary sensor along with an f/2.2 lens and a 2-megapixel secondary sensor. The phone also has an 8-megapixel selfie camera at the front. There are several preloaded features as well, such as AI Smart Beauty, Selfie Timer, and Face Unlock among others. The Redmi 7 comes in 16GB, 32GB, and 64GB onboard storage options that all are expandable via microSD card (up to 512GB). Connectivity options include 4G VoLTE, Wi-Fi, Bluetooth v4.2, GPS/ A-GPS, USB, Infrared (IR) blaster, and a 3.5mm headphone jack. Besides, the phone packs a 4,000mAh battery and comes with a P2i splash-resistant coating.